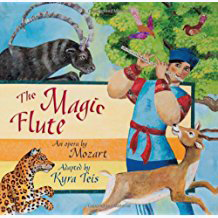 A charming one hour narrated, family-friendly, version of Mozart's classic opera The Magic Flute, narrated in English and sung in German with piano and string quartet. "Amber" and "Monte & Pinky"
Two one-act operas in concert performance about the wounds of war and racism. A musical production by local composer Richard L. Rose performed by Capitol Opera Richmond. This day-long festival celebrates the music of Wolfgang Amadeus Mozart by bringing live performances of his symphonies, operas, and chamber music into Richmond’s bars, restaurants and galleries.